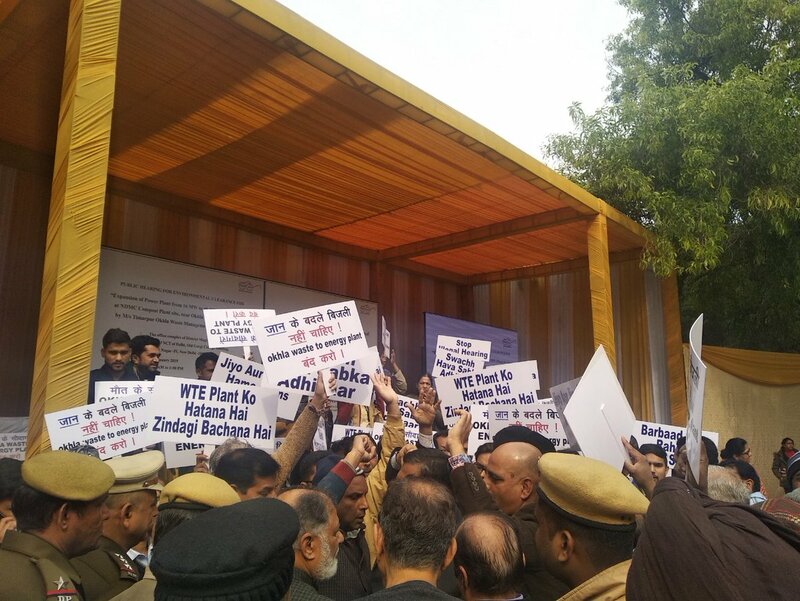 A letter signed by the people who came for the protest against illegal and fake public hearing on the expansion of existing waste based thermal power plant of Jindal's company located at Sukhdev Vihar, Okhla, New Delhi has been submitted registering vehement opposition to the project. The public hearing was scheduled at DM's office at Lajpat Nagar but it did not happen over there. The attached letter describes that people did not allow anyone to enter the rescheduled public hearing venue. 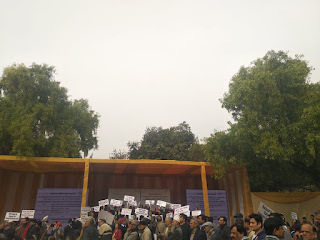 The protesters did not allow any camera, not even a single person from Administration and from Delhi Pollution Control Committee to begin the public hearing process. The residents demanded that this public hearing must be considered as null and void ab initio. 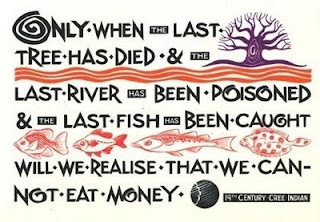 A letter has been sent to the Member Secretary, DPCC, Chief Secretary, NCT of Delhi, Deputy Commissioner (South East), NCT of Delhi, Secretary, Union Ministry of Environment, Forests & Climate Change. 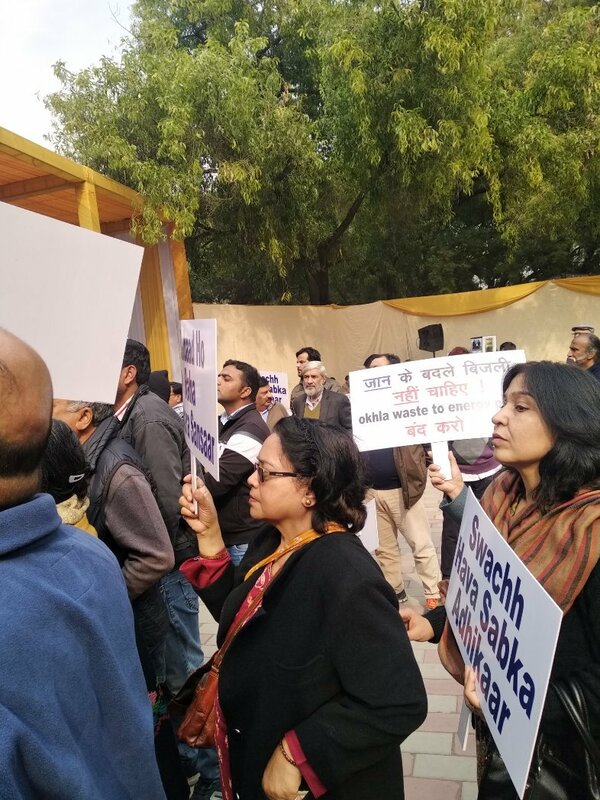 The signatories included S Khan, President, Sukhdev Vihar Residents Welfare Association, Pocket A, Abdul Rashid Agwan,Convener, Volunteer for Change, Vimal Bhai,National Convenor, National Alliance of Peoples Movements (NAPM) and Gopal Krishna of ToxicWatchAlliance (TWA). 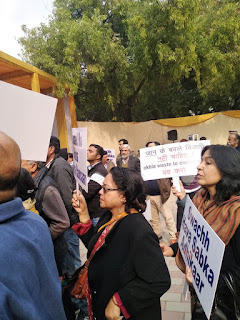 Prior to the Public Hearing, on the Expansion of Waste To Energy Plant of Timarpur Okhla Waste Management Company Ltd at Okhla STP, Near Sukhdev Vihar, New Delhi, ToxicsWatch Alliance (TWA), sent a critique of the public hearing and the Draft EIA of the proposed expansion project and its submission to the EAC on Thermal Power Projects Union Ministry of Environment, Forest and Climate Change and the Sub-Committee on Expansion of Okhla waste to energy from 16 MW to 40 MW Indira Paryavaran Bhavan. The critique concludes that there is a logical compulsion to withdraw the environmental clearance given to this plant in order to save present and future generation of residents from being enveloped in a toxic gas chamber as a consequence of use of such hazardous incinerator technology adopted for generating energy from waste which admittedly has hazardous waste characteristics.